In 2011, I had a lovely stay at the Palazzo Rinaldi Artist’s Residence, a villa on the top of a hill in a remote village in Basilicata Italy. Susanna from Palazzo Rinaldi interviewed me on her blog and asked a few great questions about White Feathers, which I was happy to answer! 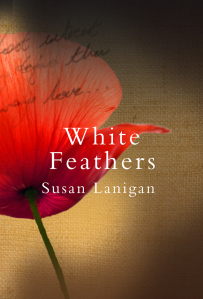 Susan, first of all many congratulations on your novel White Feathers, which has been acquired by O’Brien Press Brandon Imprint for publication in autumn 2014. We are excited for you and can’t wait to read it! Can you tell us first of all what gave you the idea for the novel, and made you wish to write a story set during WWI?